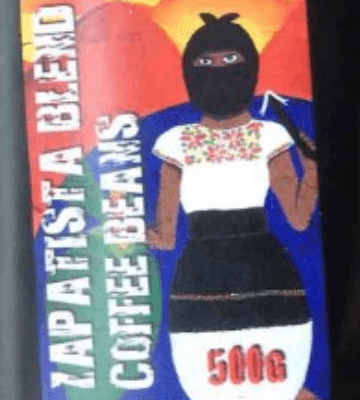 Bringing you Zapatista Coffee via the anarchist distribution network! 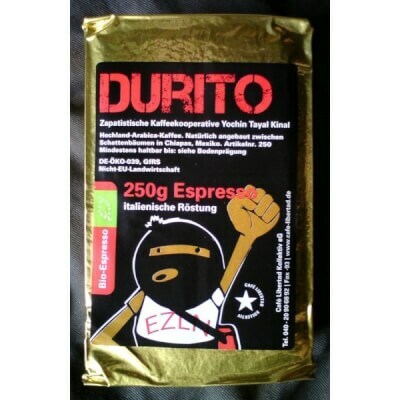 This coffee is from the rebel Zapatista co-operatives of Chiapas Mexico and includes: Durito Expresso (ground), Zapatista coffee blend (ground) and whole beans. Active distribution have supported the EZLN (Zapatista) Indigenous struggle in Mexico ever since hearing about it on the BBC World Service on day one 1/1/1994! The issue of whether or not to buy exclusively Zapatista coffee is tricky: mainly it depends on how much the community organizational processes behind the formation of the coffee cooperatives matter to you. 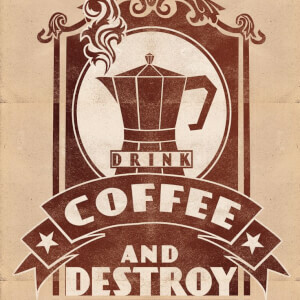 For example in Chiapas, there are coffee cooperatives that grow shade grown, organic coffee—thus complying with the ecological mandates of fair trade and organic agriculture—but have members which belong to known paramilitary groups.